WASHINGTON (Sputnik) - US Secretary of State Mike Pompeo said in a statement that he anticipates returning to Israel to visit the newly-opened US embassy in Jerusalem. "I am delighted to have visited Israel on my first trip overseas as secretary of state. I look forward to returning soon to visit our new US embassy and Ambassador David Friedman in Jerusalem," Pompeo said. 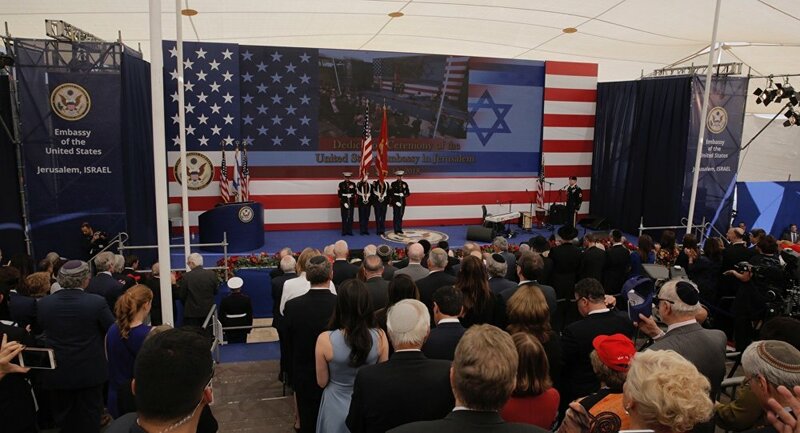 Earlier on Monday, the United States officially opened its embassy in Jerusalem. Pompeo said in the statement that he is proud to celebrate the opening of the US embassy to Israel in Jerusalem. "This significant event fulfills a promise made by President [Donald] Trump. We remain committed to advancing a lasting and comprehensive peace between Israel and the Palestinians," Pompeo said. On December 6, Trump announced the decision to recognize Jerusalem as the capital of Israel and instructed the US State Department to launch the process of moving the US embassy from Tel Aviv to Jerusalem. 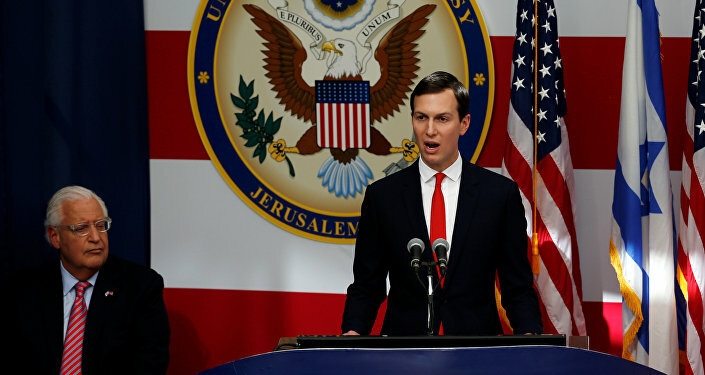 The new US embassy opened in Jerusalem amid ongoing protests by Palestinians on the border of Gaza Strip, as well as protests in a number of countries in the region and elsewhere. According to Gaza's Health Ministry, at least 37 protesters have been killed by the Israeli Defense Forces. The opening of the US embassy in Jerusalem has been timed to coincide with the anniversary of the declaration of the state of Israel on May 14, 1948. On May 15, Palestinians observe Nakba Day, the Day of the Catastrophe, to honor those who had to leave their homes before and after the state of Israel was established. Both Israel and Palestine claim Jerusalem as their capital.